Home » News » Why LGBT Youth Homelessness? Why Not All Youth? Why LGBT Youth Homelessness? Why Not All Youth? 1. 40% of youth experiencing homelessness are LGBT. While LGBT youth only make up 7% of the general youth population, they account for 40% of all youth experiencing homelessness in America. That discrepancy is enormous, and changing it requires that we give LGBT youth specific attention. If we want to end homelessness for all youth, we need to develop strategies to reverse this trend – otherwise the numbers will only increase. Consider this: 99% of the service providers we surveyed reported working with LGBT youth in their homeless youth programs. That means we need to make sure all service providers know how to provide safe, inclusive, and affirming care for all youth! Our True Inclusion Directory is a key connector for individuals within communities and for youth seeking safe and affirming services. 2. LGBT youth experience homelessness for unique reasons. LGBT youth often experience homelessness for different reasons than non-LGBT youth. According to our research, the most frequently cited reason LGBT youth experience homelessness is family rejection due to their sexual orientation or gender identity. Half of all teens get a negative reaction from their parents when they come out to them. More than 1 in 4 are thrown out of their homes. LGBT youth experience homelessness for a variety of other reasons too, including the intersection of homophobia, transphobia, and poverty. According to service providers, additional reasons include family issues, aging out of the foster care system, family poverty, and abuse in the home. 3. LGBT youth experiencing homelessness have unique needs. LGBT youth experience homelessness at higher rates than non-LGBT youth and are more at-risk of violence and negative health outcomes while experiencing homelessness. There’s no question that we still have a long way to go to ensure full acceptance and equality for LGBT people. Unfortunately, many young people face the same rejection while trying to access services. Often times, LGBT youth will be turned away from a shelter or face hostility just because of who they are. This is often due to strict organizational policies. However, many service providers want to help LGBT young people, but don’t have the knowledge or resources to do so effectively. 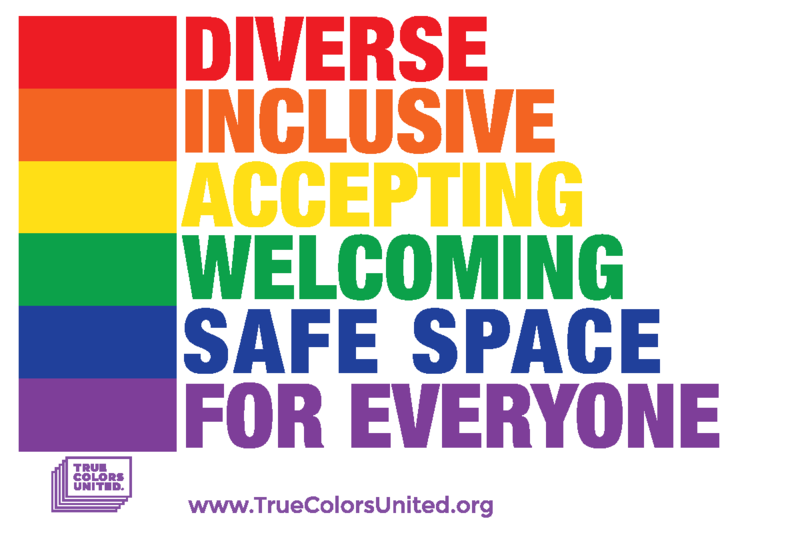 Through various training programs and resources, the True Colors Fund builds the capacity of providers across the country to meet the needs of every youth who steps through their door – regardless of their sexual orientation or gender identity. Think of how little the average person knows about something like gender identity. We’re working to ensure all service providers have the knowledge and strategies they need to help young people succeed. It boils down to this: If we can ensure that services are safe and affirming of the most marginalized young people, we can be confident that they’ll be safe and affirming for all youth. While our work is specific to LGBT youth, the strategies we employ to improve services across the country affect all young people experiencing homelessness.